Built in 1927, The Garage was the home of the cars of college professors and their drivers. With its name and structure preserved, The UNESCO World Heritage Site is now the proud home of two F&B concepts. 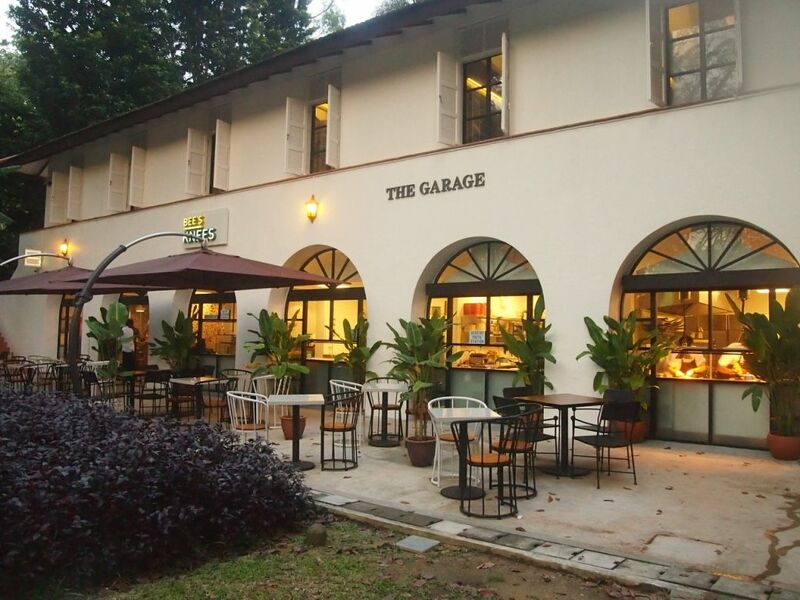 Tucked away from the hustle and bustle of city life, The Garage provides a respite for those who crave a quick getaway. 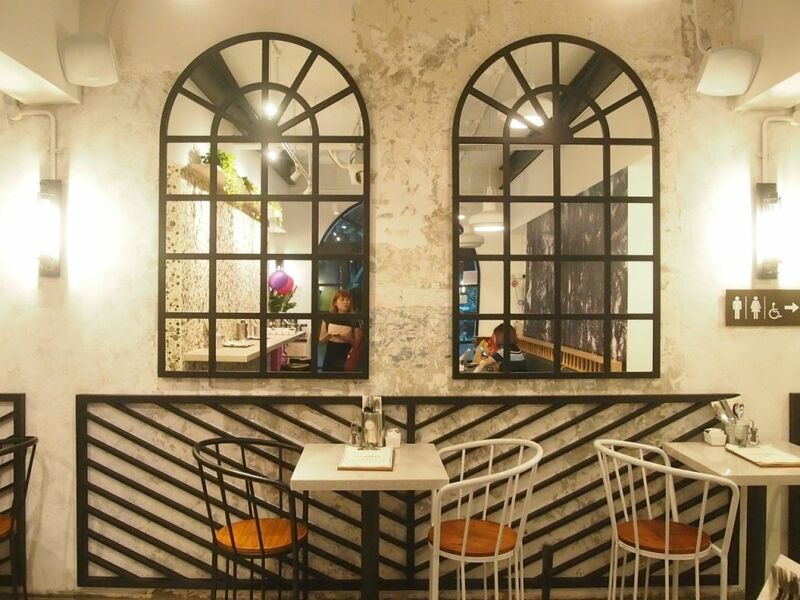 The beautiful restaurant has 7 arches which used to be individual garages. The walls have since been knocked down, allowing the 7 arches to be connected. 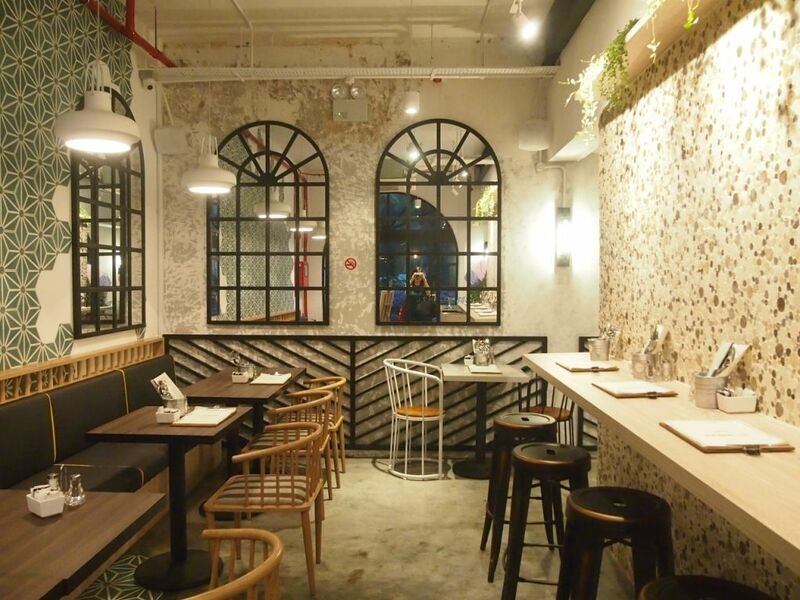 Bee's Knees, the dining concept on level one, is an all-day dining garden bistro that is perfect for families and those who love to bring their pooches out for a laidback brunch. 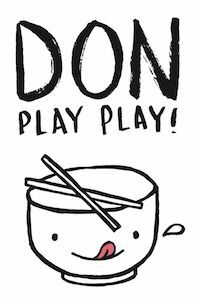 Diners can look forward to eggs, waffles, pizzas, pastas, salads and sandwiches. Joggers can also make this a pitstop for a quick refuel. 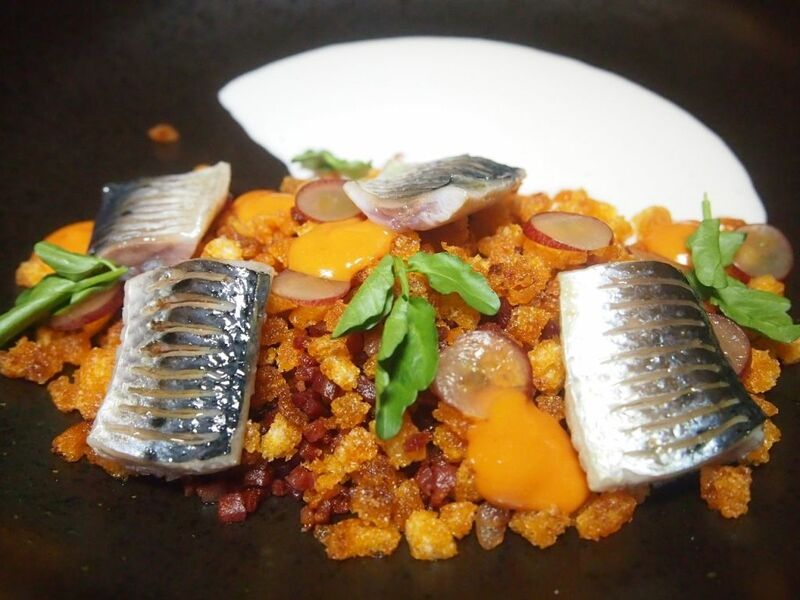 Helmed by Chef Antonio Oviedo, Botanico on level two is a contemporary bistro that offers a seasonality-driven menu. Seasonal produce and the freshest ingredients are highlighted and showcased in dazzling ways, bringing out the natural goodness of the ingredients in ways that you've never experienced before. 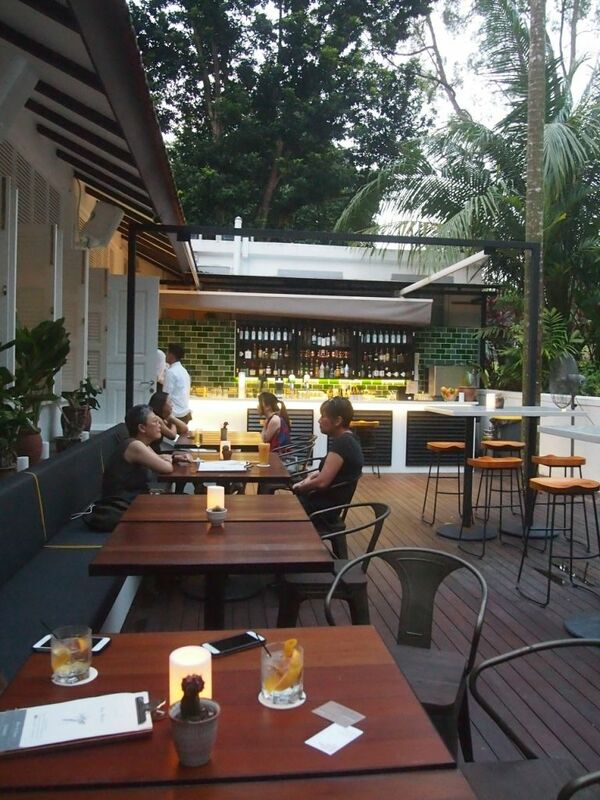 The pretty alfresco bar has air-conditioning too so you will never feel warm here. 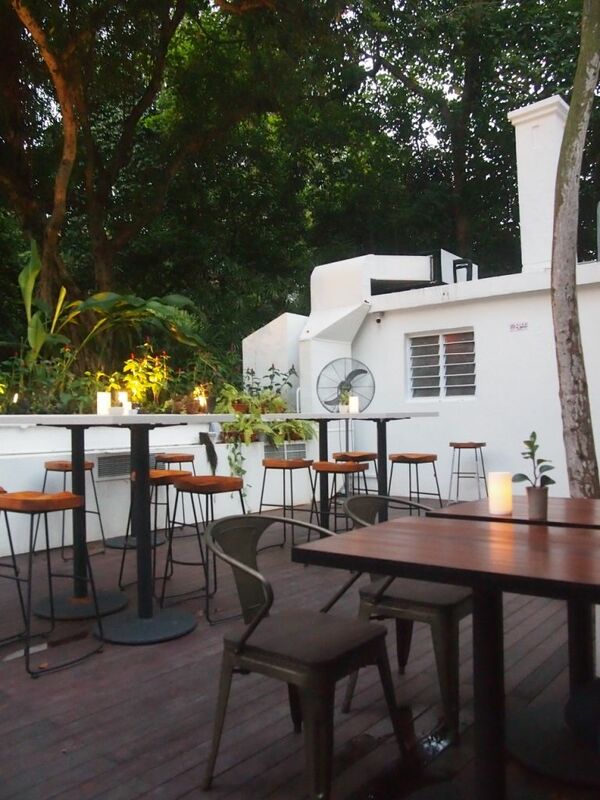 Rooftop and alfresco bars are always popular but this alfresco rooftop bar takes you away from everyday life as you're not staring into the city skyline or at skyscrapers, but tall trees and lush greenery. 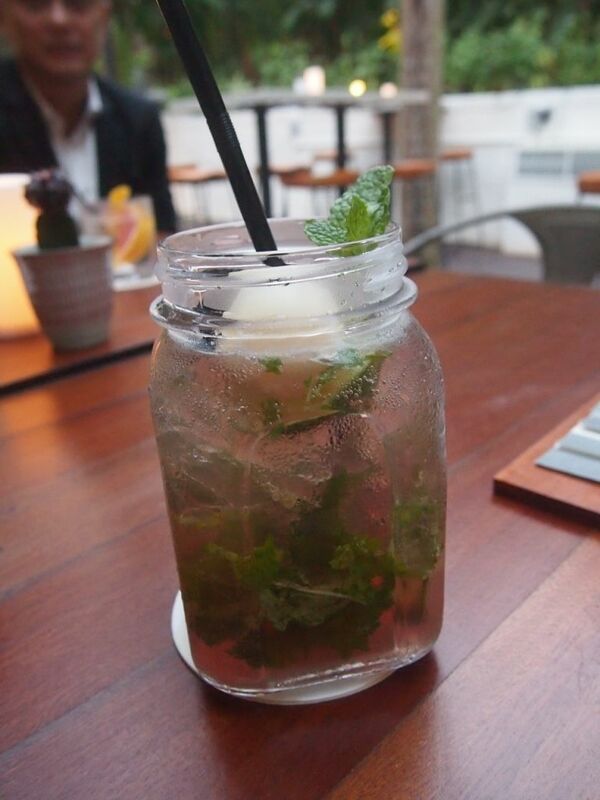 Start your evening with a refreshing mug of Blackberry Lychee Mojito ($14). I had both the cocktail and mocktail version and may I just say that the cocktail version is so much yummier! 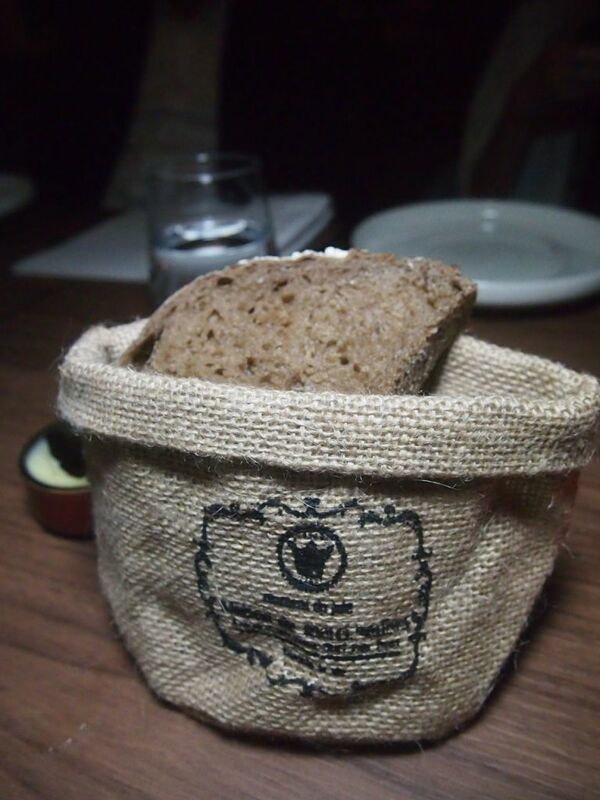 Rye sourdough and white wheat sourdough came in an adorable little sack, along with Arbequina olive oil and butter that is smoked in-house over oak chips. Needless to say, I had way too much of bread and butter, as usual. 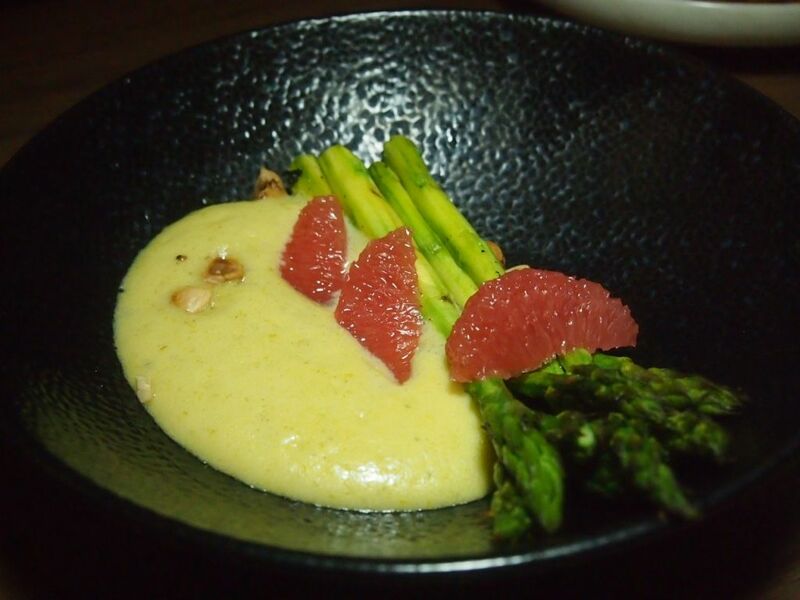 The Chargrilled Green Asparagus ($12) was paired with a creamy Bearnaise sauce, charcoal-grilled hazelnuts, grapefruit, tarragon flowers and tarragon leaves. I skipped the asparagus but compliments about the well-executed vegetables were heard all around the table. I had a small share of the sauce, hazelnuts and grapefruit and I enjoyed how the bitter notes in the nuts and grapefruit accentuated the flavours in the Bearnaise. 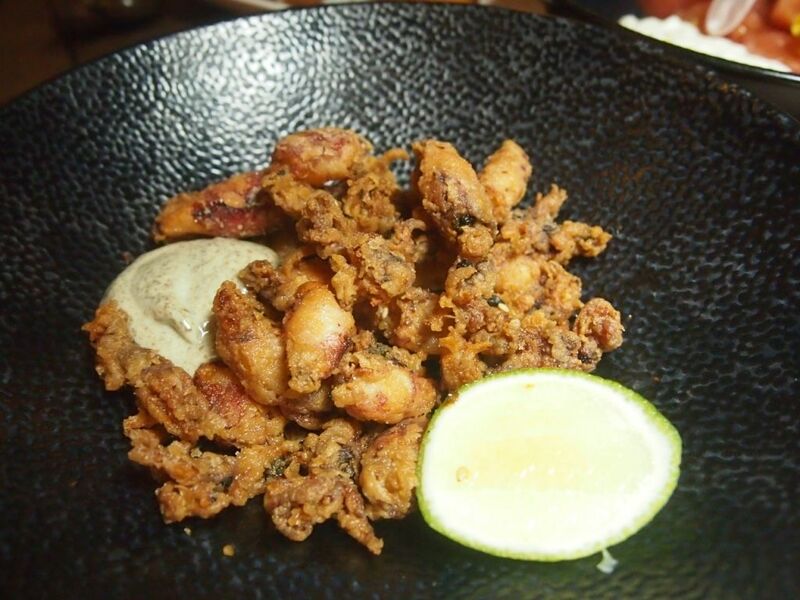 Fresh and unmarinated baby squid is coated with tempura flour before it takes a bath in hot oil. The resulting Calamaritos($12) accompanied by a tasty seaweed aioli was beyond addictive. Don't forget to add in a squeeze of lime for that tangy touch that will make the crispy squid even more unforgettable. When I was told that the Idiazabal Croquettes ($14) held a generous portion of smoked Idiazabal cheese emulsion in its core, I was a little hesitant to try it. 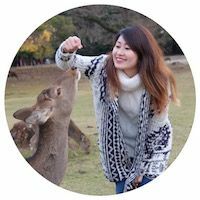 As you know, I'm not really a big fan of cheese and little did I think that I would actually fall in love with this unassuming treat, but I did. Within a thin jacket lies a warm and smooth cheese that just oozes out and coats your tongue with a richness that will send you going "mhmm". 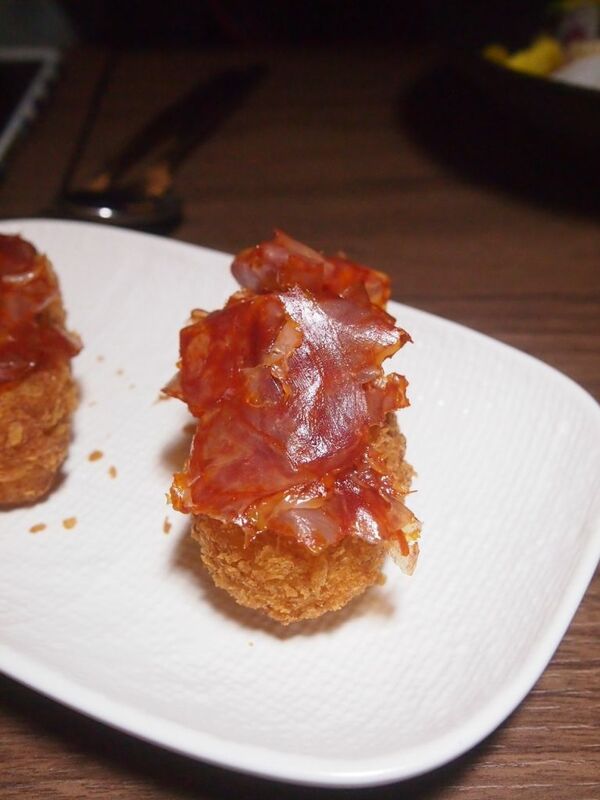 I loved how crunchy the coating was, and I loved that additional savoury touch from the chorizo slices even more. All in all, this was a brilliant creation. Next up, we had a beautifully-plated Lamb Tartare ($20). Lamb tartare is definitely not common in Singapore and if you've had Beef Tartare before, this is somewhat similar. Instead of chopped beef and a fresh egg yolk, chopped lamb and yolk cream are used instead. The lamb does not possess that strong gamey scent that I detest and I enjoyed this more than I thought I would. 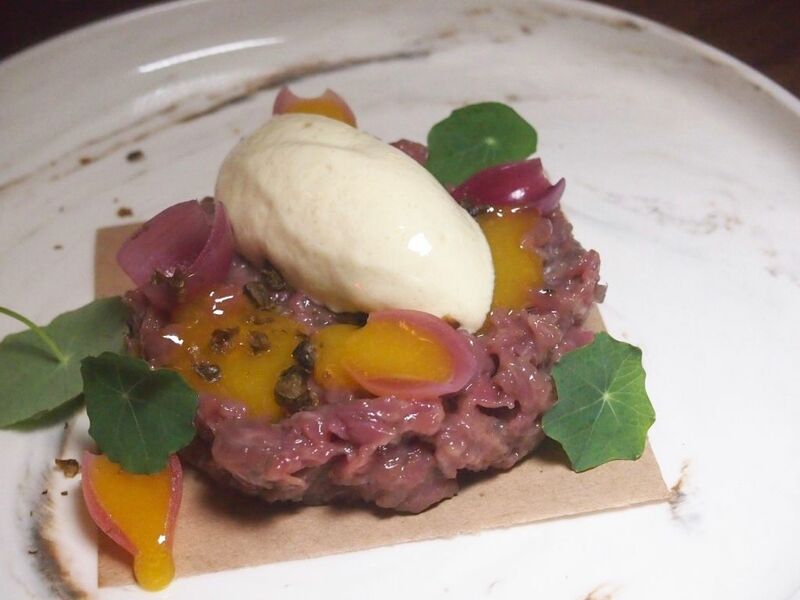 The lamb tartare is interestingly paired with mustard icecream, which lends a welcoming cold touch, black olives arlette, deep fried capers, pickled onions and smoked olive oil. Perhaps the first thing that comes to mind when someone mentions sardines, is an image of canned sardines. 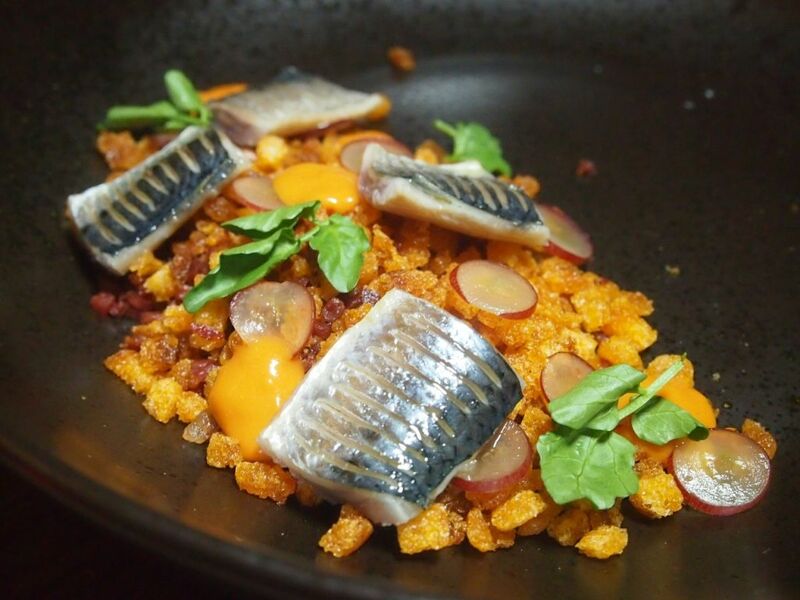 The Smoked Sardines($20) features Japanese sardines, that are smoked in-house, laying elegantly on a mix of chorizo bits, Kyoho grapes, and croutons fried in iberico fat. I especially loved the kisses of sweetness from the grapes. Are you drooling already? That's not even all. Pour in the accompanying ajo blanco, which is a concoction of almond, garlic and olive oil, and you will truly understand the meaning of the word 'flawless'. Cooked to perfection, the juicy and firm Japanese Scallops($27) stole the show. 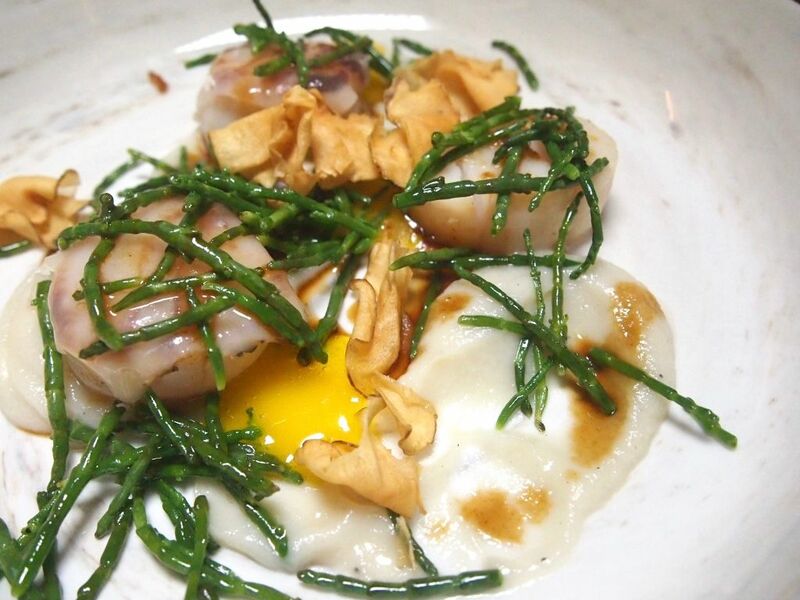 The pristine sweetness present in the sustainable Hokkaido scallops was captivating. The star was paired with Topinambur puree and crisps, Iberico lardo and samphire. Here we have Roasted French Pigeon($27) done two ways. The breast is pan-seared while the leg is sous vide for 20 minutes at 75 degrees celsius. 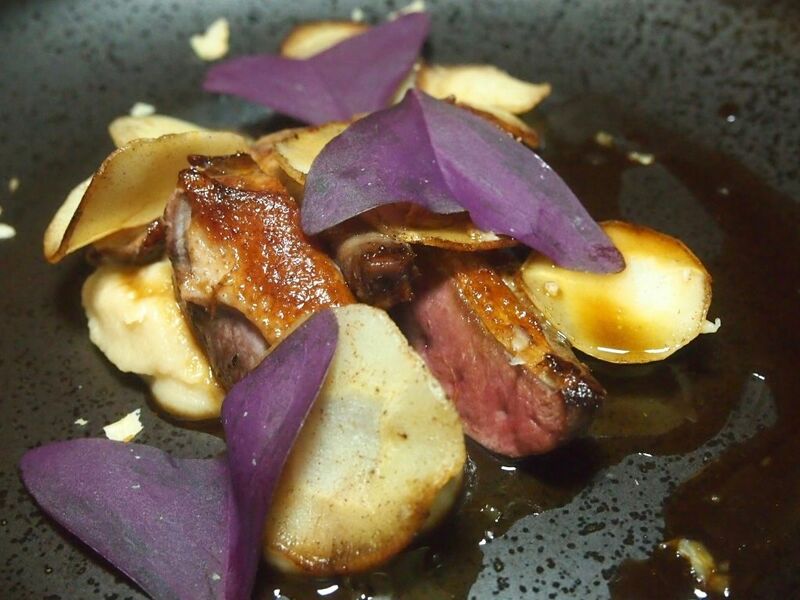 The pigeon jus is slow-cooked with pigeon bones, red wine, garlic, leeks and onions. There's parsnip brown butter purée, parnsip slices sautéed with brown butter and shavings of smoked walnuts too. The sheer amount of ingredients that go into every dish show the brilliance and meticulousness of Chef Antonio. The purple leaves are butterfly sorrel that have been picked in the day so that the leaves remain open, as they close when night falls. The taste of pigeon is definitely not for everybody. It tasted like liver to me, and I didn't really like it. It was also a little tough. 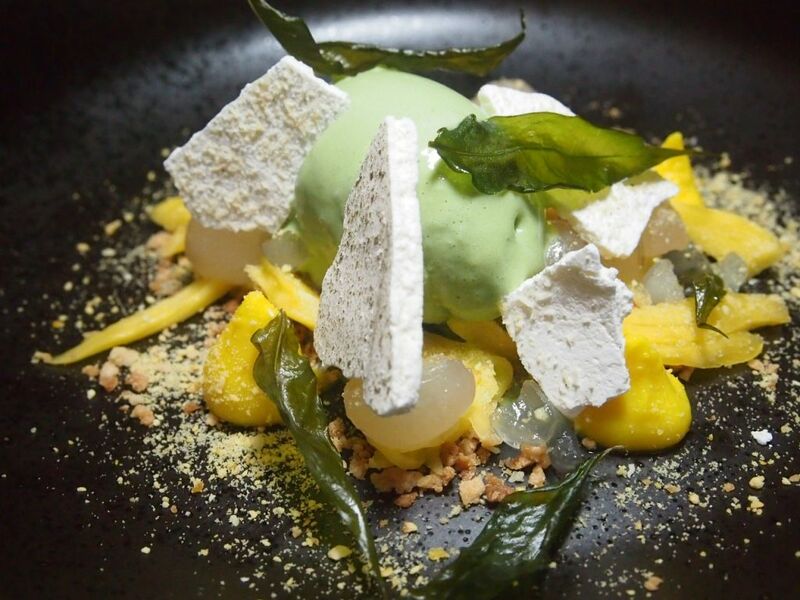 Inspired by the tropical fruit trees that used to line the orchard, Tropical Fruits($14) is a mash-up of laksa leaf icecream, white chocolate tumeric ganache, sea coconut, jackfruit, longan, deep-fried laksa leaf, sable crumble and laksa speckled meringue. I have to say that this is a very clever and refreshing take on local flavours, and definitely a decent dessert to round off the meal, but don't expect it to blow you away.